PhD Candidate Benjamin Bradlow discusses the gap between democracy’s promise of political equality and the inequalities of urban life in São Paulo, Brazil and Johannesburg, South Africa. Many of America’s cities are built atop and around former industrial sites. Professors Scott Frickel and James R. Elliott say we need to know and understand their sometimes hazardous history and what it means for the past and future of urban areas. How can we move forward? Welcome to the new Sociology @ Brown website. An exciting new design awaits! Use the "Home Bar" above to navigate anywhere on the site, and click the house icon to return here. Welcome to Sociology @ Brown! Our research and teaching is guided by the systematic and scientific investigation of human behavior and social life. Sociology connects. Sociology clarifies. Sociology empowers students to engage effectively with the world around them. We invite you to join us. 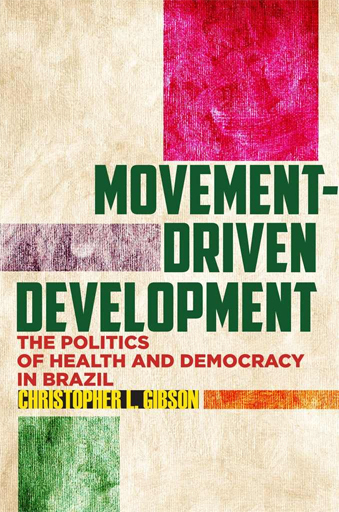 Assistant Professor Christopher Gibson of Simon Fraser University, Ph.D. graduate from Brown University, has published his latest book, entitled Movement-Driven Development: The Politics of Health and Democracy in Brazil.